My Great great great Grand Father is Teniente general Caldio Dominguez who ordered “Preparen… Afunten… Fuego!”, to a firing squad which is Dr jose rizal was the man to be executed,i was told by my grand father as he also told by his great grand father that my great grand father don’t know Who Dr Jose Rizal is on that day. but as the higher rank officer commanded him to do so he did as what he ask to do. then my great great grand father captured by Americans Soldiers in the island of sequijor were he meet my Filipina Great great granny’ and told its story to our family generations to next generations until it came to me. i don’t know how to say this but i am a Filipino and i must say, i am sorry in behalf of my great great ancestors we are really truly sorry for what my grand father did. i was only seven years old when my grand father told me this, so i thought it was just a story, but until now my father still have one of the guns which used during that day. Sir, was your great great great grandfather an spaniard? Sorry for this late reply, but thank you for acknowledgement. There is nothing to be sorry about. Your great-grandfather was a good soldier. Please tell more about your family and the event as passed on. Because that “Alberto B. Mendoza” on your post is the father of my Dad and he is my Grandfather. Papa (Alberto B. Mendoza) wrote a book titled, “How Rizal Died” which was published in the Sunday Times Magazine on December 25, 1949. 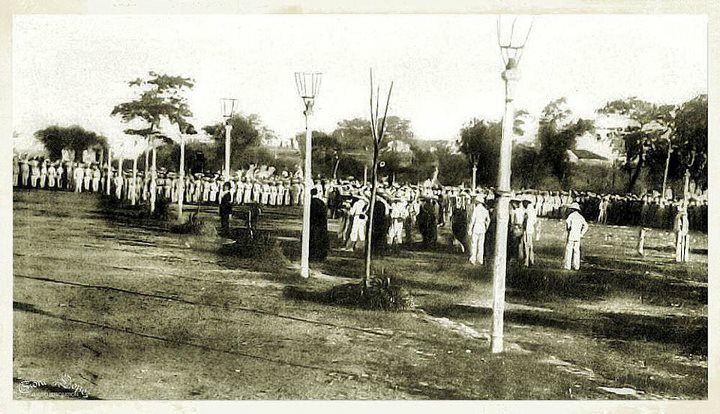 The execution of José Protasio Rizal Mercado y Alonso Realonda aka Jose Rizal was witnessed by Hilarion Martinez and it was narrated to my grandfather. Who is responsible for his death? Justice has been waiting too long but the Jesuits are able to delay many cases of injustice in the name of religion to the present day. Pope Francis is a Jesuit himself. There is no hope that Filipinos can say openly who made the decision to kill that young man. There is no reason to be proud of crime committed but no criminals were punished. Filipinos should not let up finding the truth. I am tearful! I can cry! I am angered! I am so moved reading the account now than when we studied Rizal’s life in elementary, high school & college. I crave for more hand-me-down stories about our great man! If I were present during his execution I’m sure I’d faint! My salute to the Filipinos’ greatest hero!